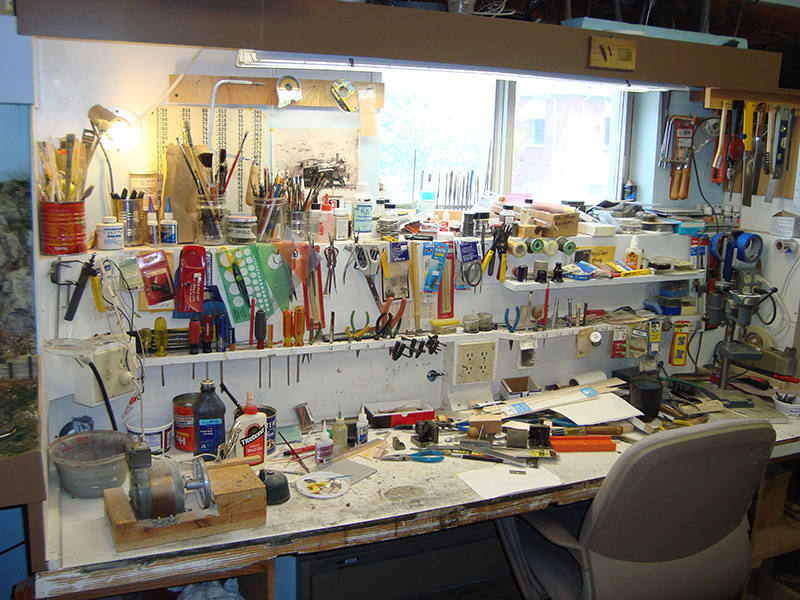 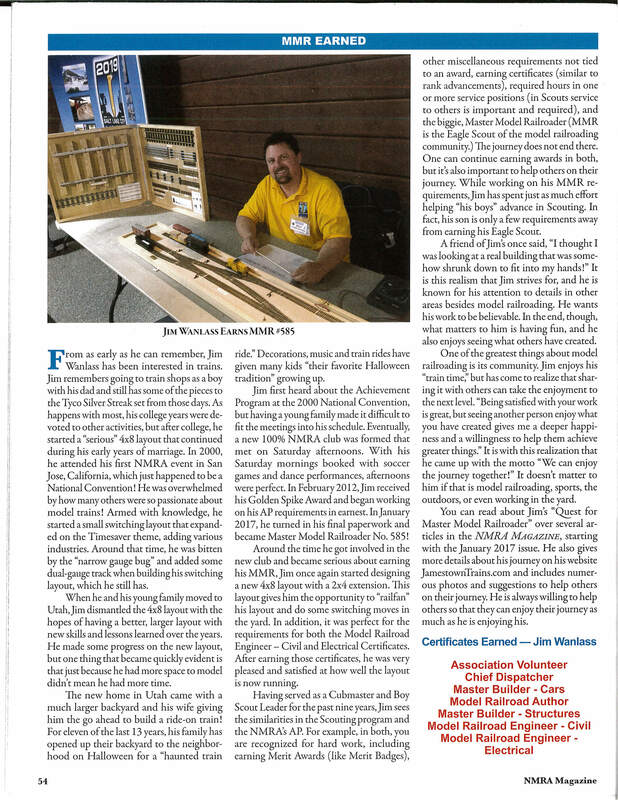 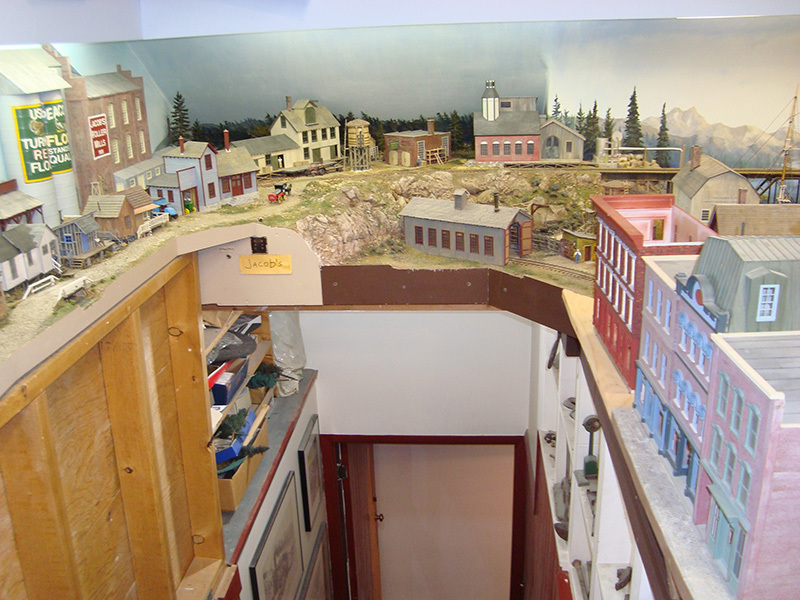 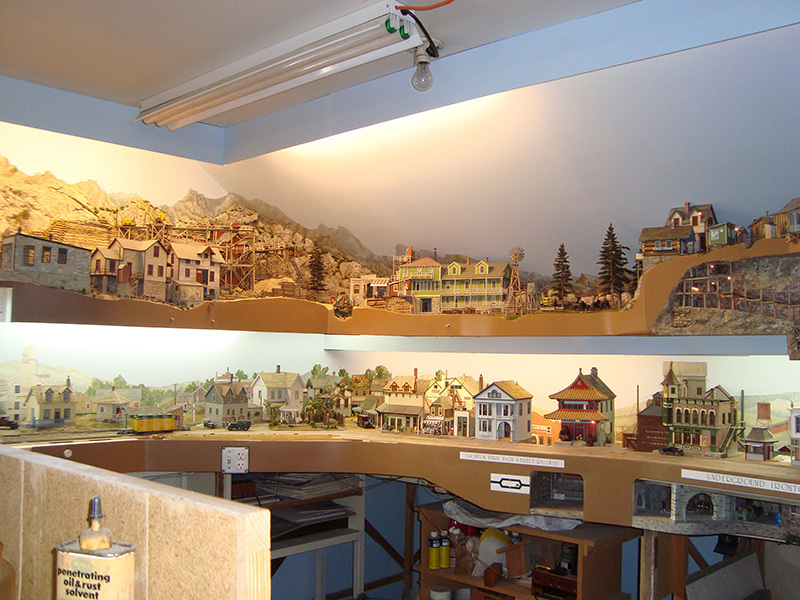 Steve and his support group, The “O” Scale Guys, have spent more than 25 years building the 1930s era “O” scale RP&G in the attic of Steve’s home. 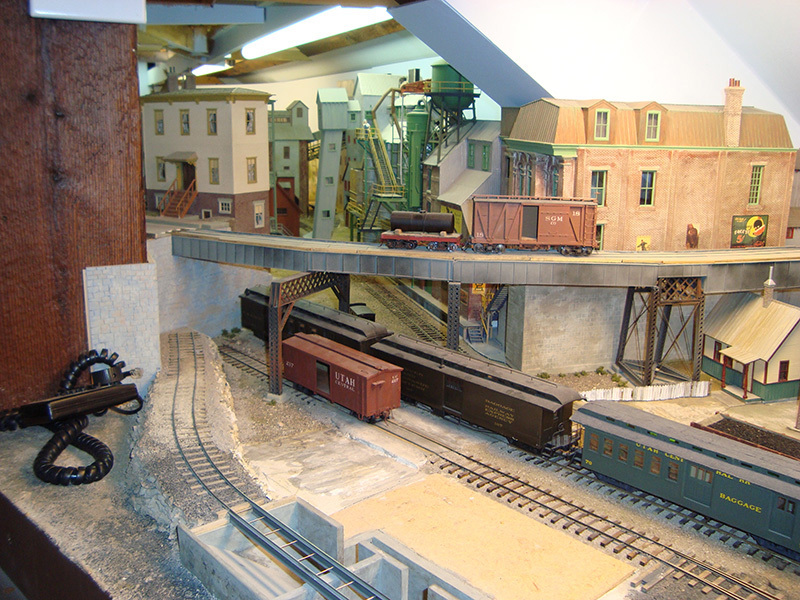 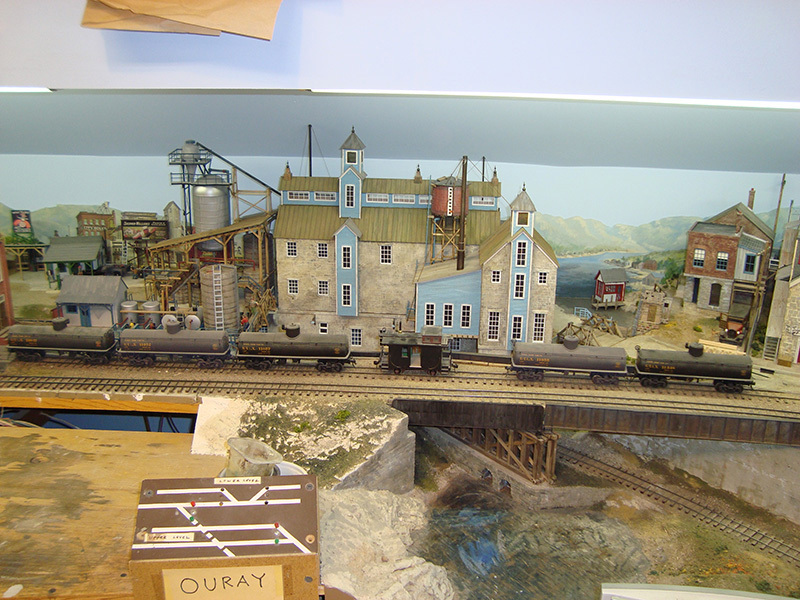 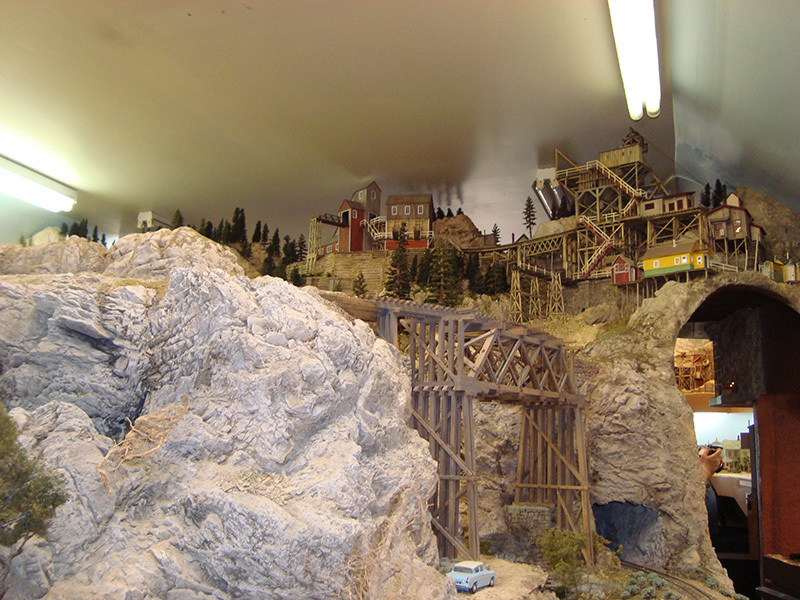 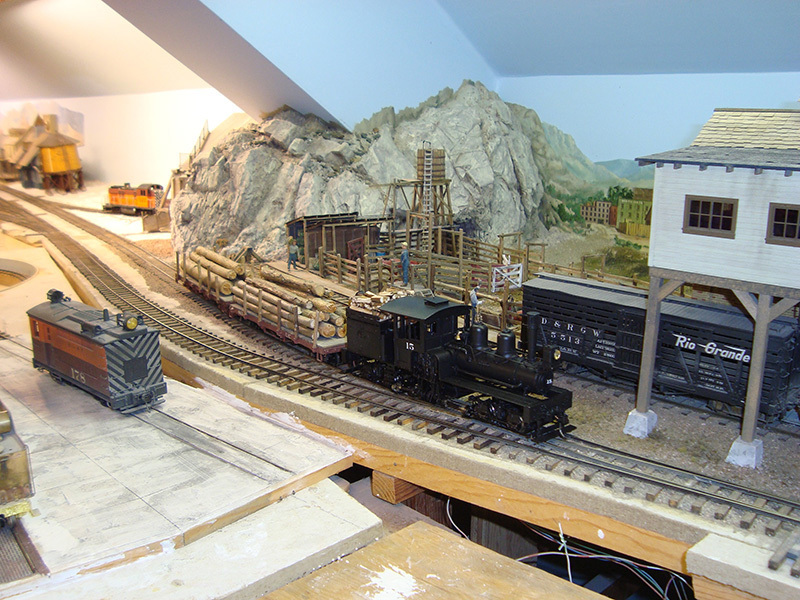 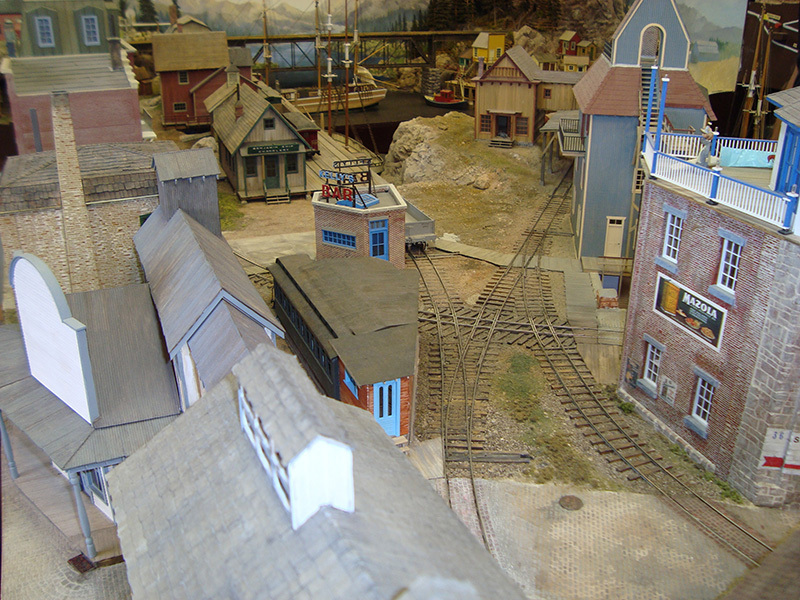 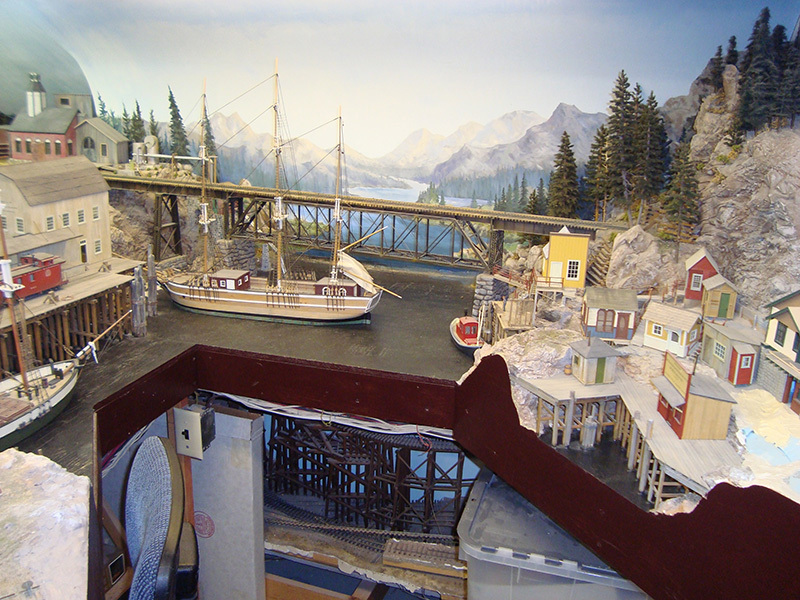 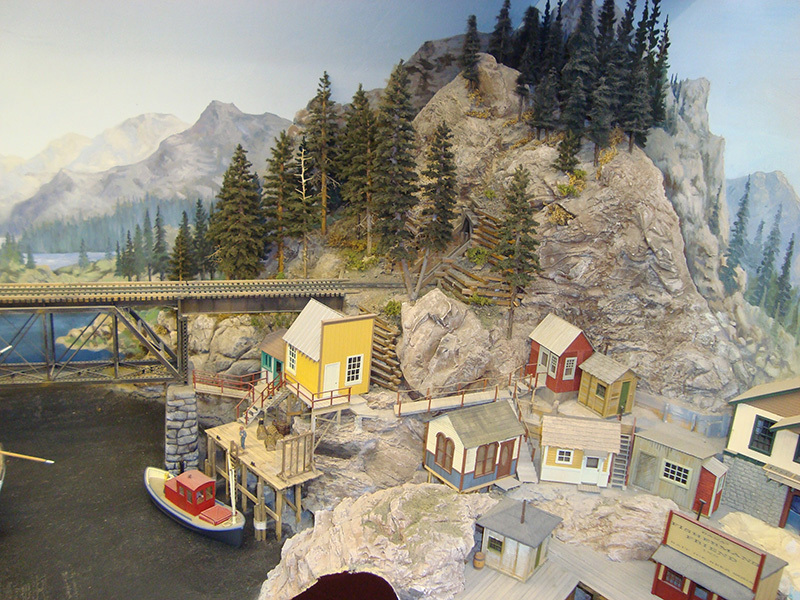 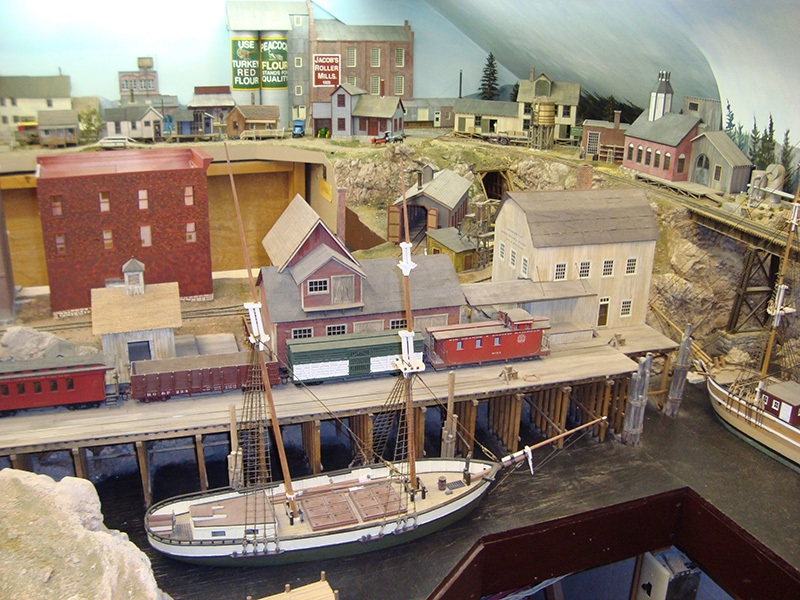 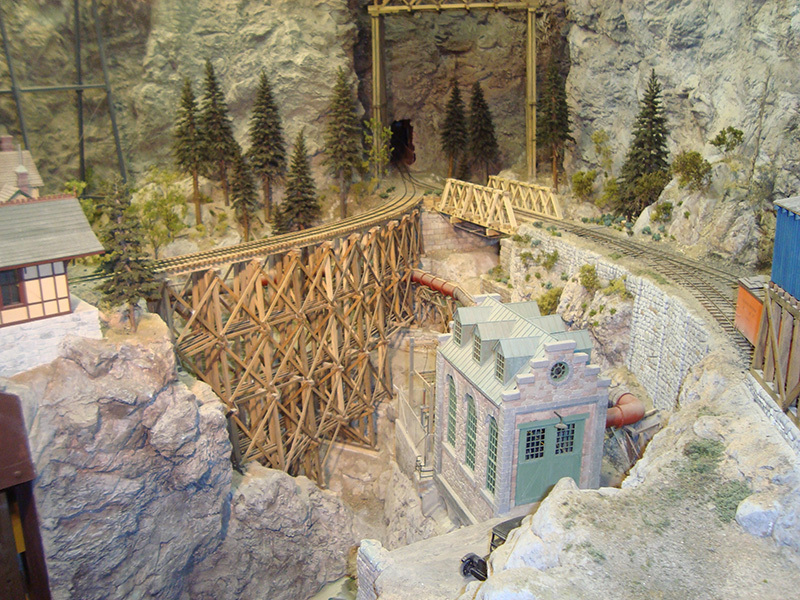 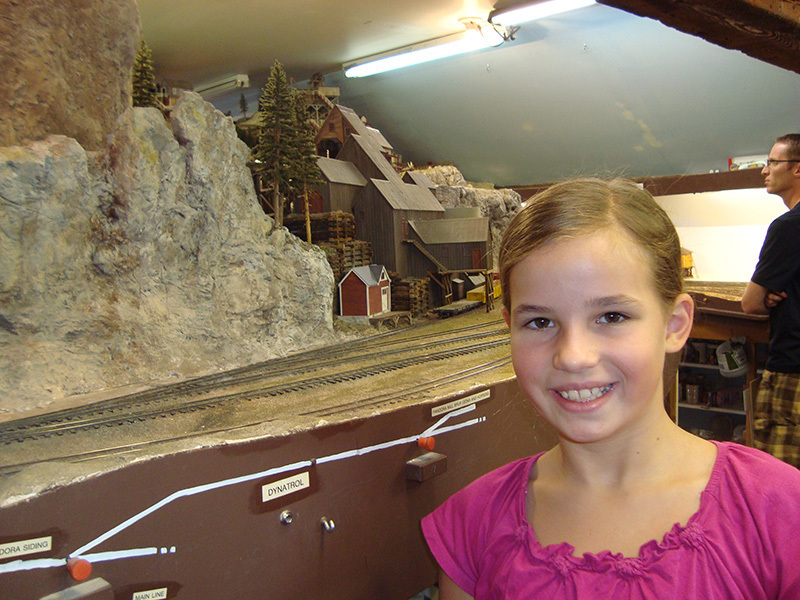 The RP&G layout measures 18 by 36 feet and features over 140 scratch-built structures, many hundreds of feet of hand-laid track on hand-cut ties, a dozen bridges and trestles and hand-painted backdrops. 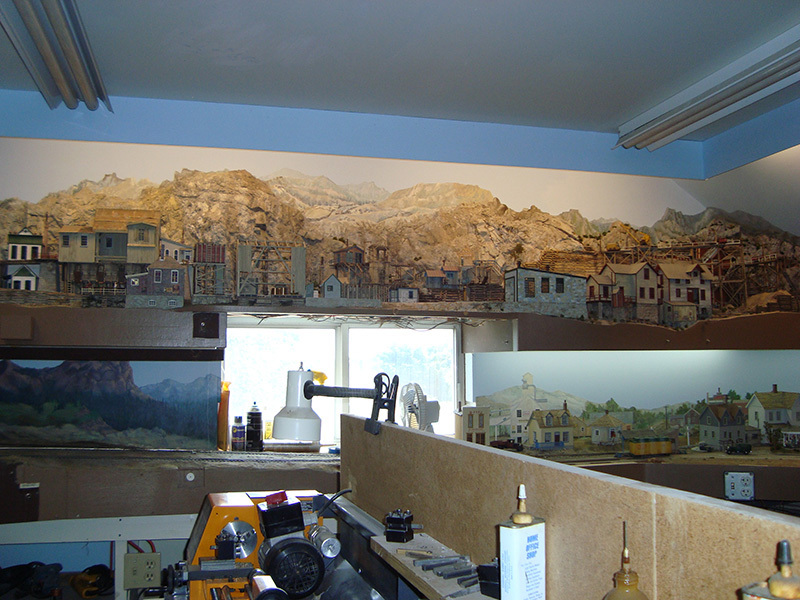 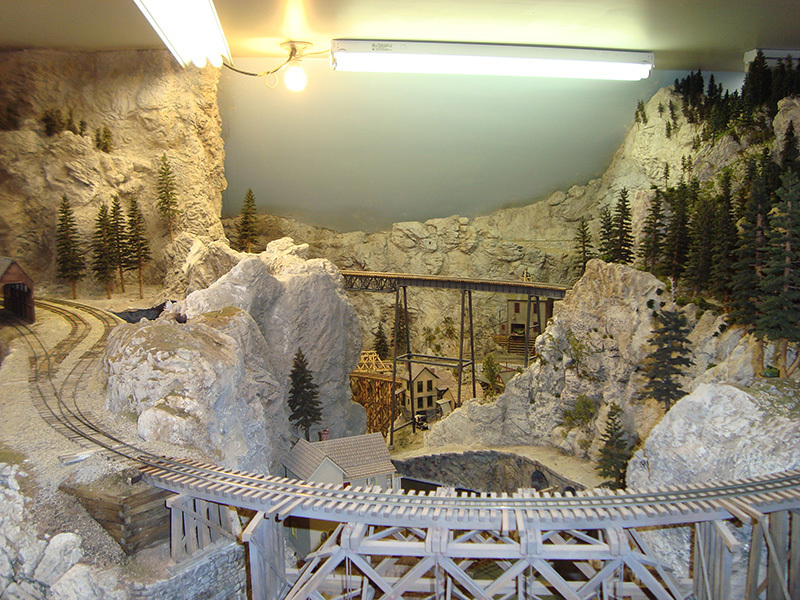 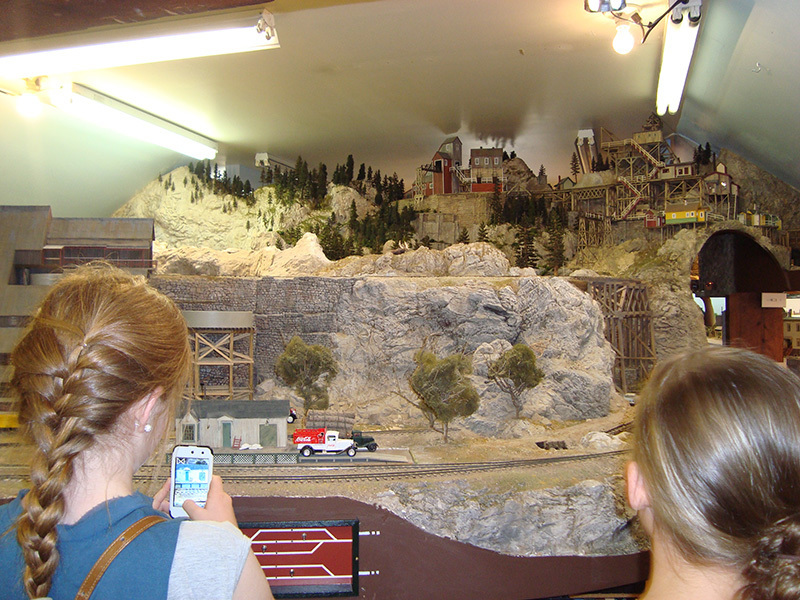 Supported by spectacular scenery, the structures are the primary features on the layout. 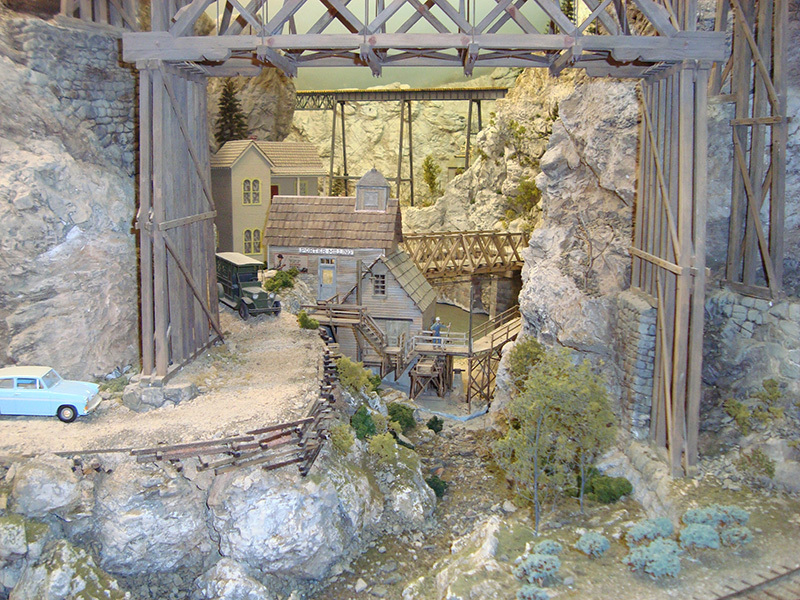 There are a dozen mines as well as several mills and town sites. 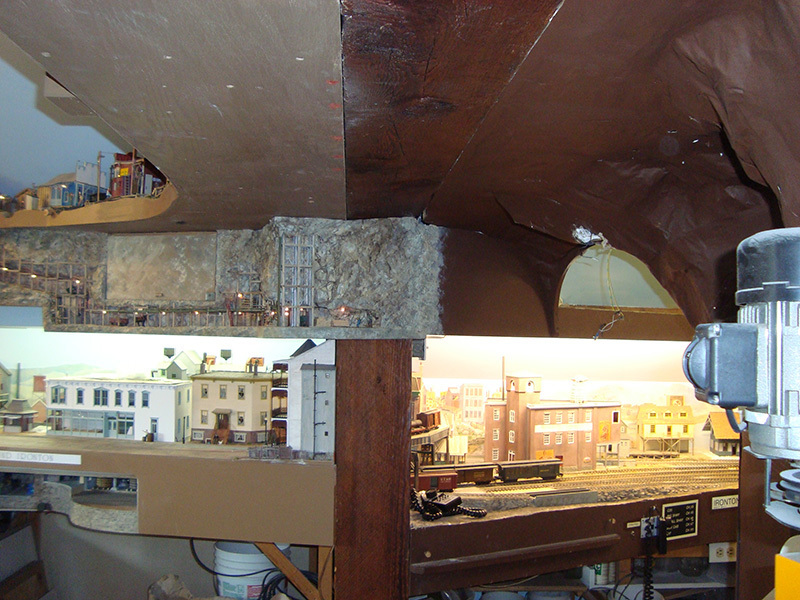 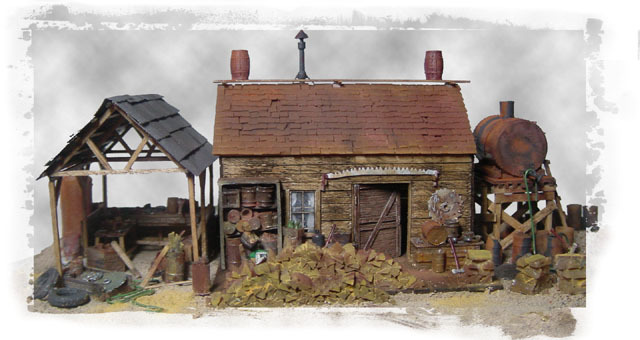 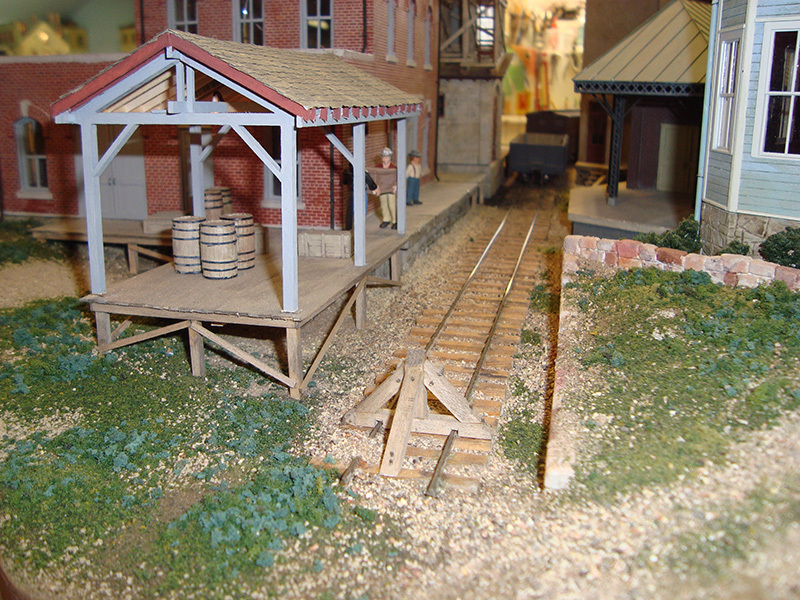 The mine lower levels have been completed and two new mines have been added to the layout.